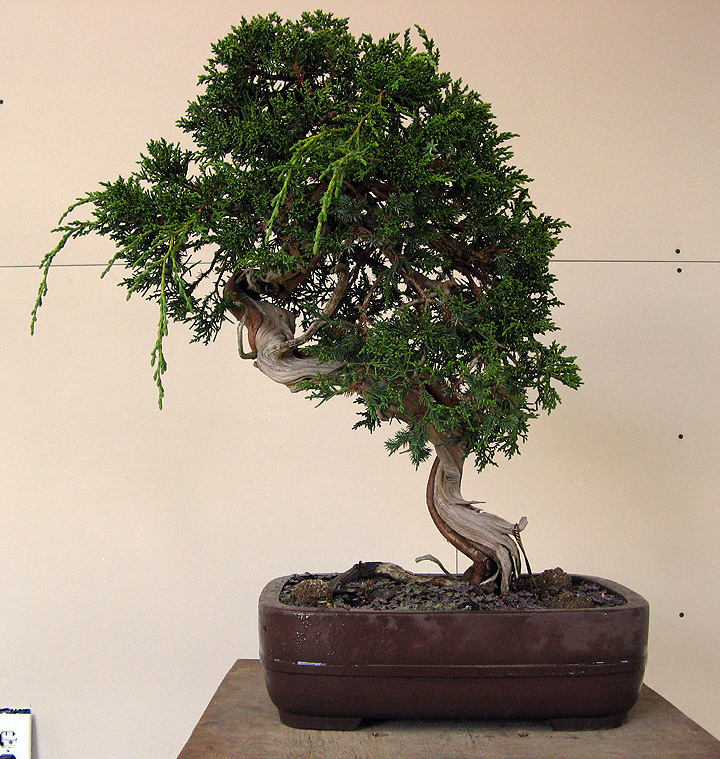 Some years ago this juniper was imported from Japan. It was weak for quite some time and only this year displayed enough energy to make styling an option. The long shoots were cut back once already this year, so I could actually have styled it a bit earlier. Before the work. Pot is a Yamaki, but it's not the final one, being too big and the wrong shape. After cleaning the bark and shari, and styling. The front was shifted a bit to the left for better trunk movement, and then the whole tree was tilted to the right. It will be planted at this angle at the next repotting. The pot for this bunjin could be a simple round with an outflared lip, or perhaps a 'moko' form. Elegance of line and movement! What exactly is a “moko” form? 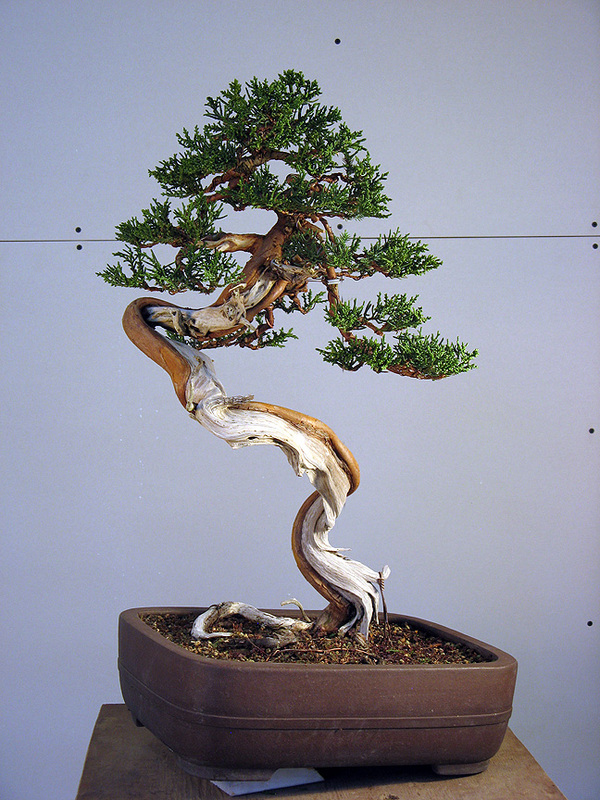 Reblogged this on Indiana Bonsai.